Brendan has extensive experience as a corporate event and after-dinner entertainer and has hosted charity auctions, award presentations and product launches. 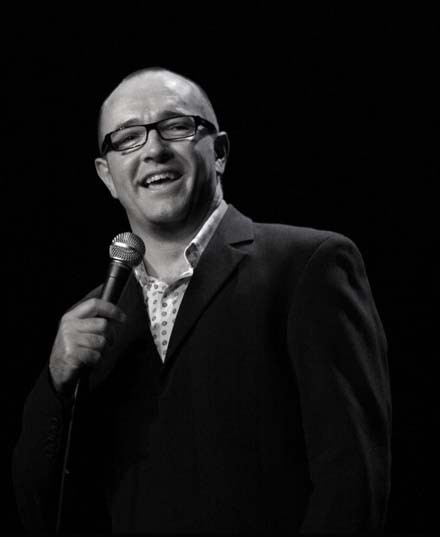 As well as being one of the busiest stand-up comics on the circuit, his corporate work often entails working closely with the client to research and tailor his material to each event. His phenomenal energy and friendly banter conceal an acute sense of timing and a natural gift for storytelling, creating the perfect atmosphere for guests and colleagues to relax and enjoy their event. "Brendan was great and he indeed lived up to my expectations, we all had a great laugh"
"Brendan did a fantastic job for us on Saturday night, he held the evening together perfectly and we raised a considerable amount for our charities. I will be in touch as soon as we have more dates for him. Many thank’s "